All facials include deep pore cleansing, steam, exfoliations, extractions, customized mask, and therapeutic massage, including face, neck, shoulders and hands. This ground-breaking freeze-dried treatment redefines the anti-aging facial! Infused with the first ever blend of Argan and Comfrey Stem Cells and supercharged de-agers like Collagen, Retinol, Elastin and other key actives, it strats working from the first application. Visibly reducing lines and wrinkle depth, it delivers a smoother skin surface with improved firmness, and long-term protection of the skin's naturally repairing stem cells. The ultimate answer to age-reversal!. 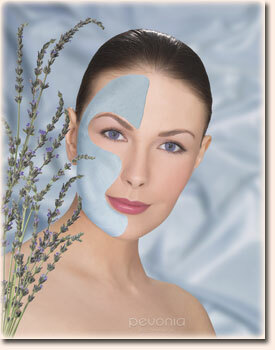 This enhanced European Facial is a unique blend of European techniques and luxurious, specialized products. First, the skin is deep-cleansed and gently exfoliated. Then extractions, if needed. Next comes a soothing massage of the face, neck and decollate. A customized mask is then applied. The treatment finishes with the application of a moisturizer to leave your skin feeling noticeably youthful and balanced. Our performance-driven Lumafirm Lift and Glow Facial is truly one of kind experience that aims to leave your skin firmer, tighter and more youthfully defined.This exclusively formulated treatment features the latest in freeze/ dried technology to deliver instant results and cumulative benefits. It's ideal for any skin type showing signs of aging, or as perfect instant repair boost. The ideal candidates for this outstanding treatment are all individuals with complexion irregularities, mature skin, dull skin, fine lines and wrinkles, acne scars, hyperpigmentation, and dry and dehydrated skin. The main advantage of this revolutionary formula is a micronized emulsion of retinol containing very small particles that rapidly disperse and absorb into the skin, easily reaching their target: the deeper epidermal layers. * PROPOLIS - Anti-inflammatory, calming, and soothing decongestant and anti-septic. * COLLAGEN - Rejuvenates and softens those fine lines, hydrating and nourishing. 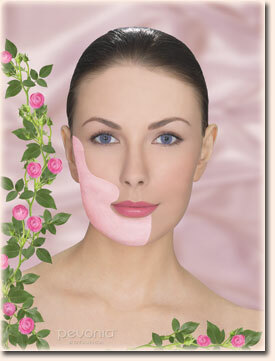 * ELASTIN - Improves epidermal elasticity and tightens the skin. that rejuvenates and repairs sun-damaged skin. Double collagen Mask and Elastin sirum treatment is a unique,100% marine collagen powder that delivers collagen to the skin in the most effective way to promote radiant and healthy skin. Reduce the appearance of wrinkles and fine lines. Restore skin elasticity and improve skin ton. Promote healthu and youthful skin. When time is a factor, this treatment is recommended. A gentle cleanser, exfoliation, extraction, toner, and moisturizer. Specific to acne conditions,this treatment works to improve inflamed congested skin.An enzyme exfoliate is used to assist in the removal of impurities. Nourishing and anti inflammatory product will be used according to your skin condition ,followed with application of high fervency to zip bacteria.This treatment is ideal for patients on acne meditation.An effective home care routine will be suggested. A delicious anti-aging facial treatment that will leave your skin feeling soft,hydrated and youthful..The Chocolate Layered Facial will reverse sun damaged skin,eliminate fine lines and wrinkles,erase lip lines and firm,lift and tone aging skin. followed with pressure point massage. Visibly enhance your skins, texture and maximize hydration. The refreshing gift of mask combines the hydrating benefits of Seaweed with revitalizing propolis , a natural healing and desensitizing sub stance. Soothing, nourishing and calming if renders skin undeniably radiant. Repair your skin, while deeply nourishing and replenishing. This mask first warms allowing vitamins to penetrate your skin, then cools to seal rejuvenating benefits. Micro-emulsified vitamins A and E maximize your skin, protection against free-radicals and premature aging. Your complexion feels velvety smooth and deeply hydrated with improved texture and refined pores. A potent blend of stabilized vitamin C combines with the latest high -tech formulation of freeze-dried Seaweed ideal for reducing fine lines, strength elasticity and providing relief for dull, sun –damaged skin. Your complexion resurfaces renewed, firm and extremely smooth with a luminous glow. The most advances defense against aging. This opulent anti-aging treatment lavishes your skin with pure Caviar Extract, Pearl Extract and revolutionary blend of phyto-extracts. ESCUTOX, improving elasticity, this luxurious mask increases skin oxygenation and suppleness. Promoting rejuvenation, it visibly resurfaces and dramatically reduces facial expression lines and wrinkles. Specially designed for clogged, congested, and acne skin types. Deep cleansing with steam, exfoliation, and extraction. Regular treatments, along with prescribed home care, will result in significant improvement. For best results, a series of 6 treatments is recommended. A luxurious, high intensity treatment using premium products that cleanse, tone, moisturize and balance. The treatment starts with a gentle but intensive cleansing, followed by toning, exfoliation, extractions, mask and finally, a moisturizing lotion massage. This specialized facial starts with a thorough skin analysis, followed by a deep cleansing and balancing, then a peel and gentle steaming. After performing extraction as needed, the sensitive soothing skin mask is applied and is finished with a day cream. Delivers oxygen below the surface of the skin to thoroughly cleanse pores and increase circulation. 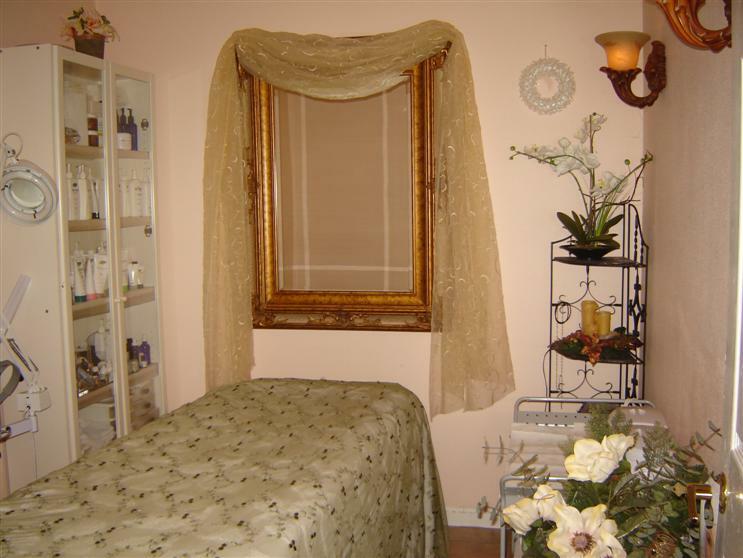 The wonderfully therapeutic treatment stimulates and revitalizes the skin, leaving a youthful glow. Oxygen Treatment is excellent before a special event. 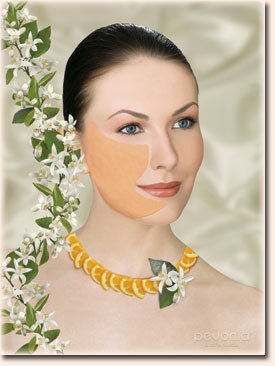 You are a candidate for professional peels if you wish to reduce fine lines, wrinkles, pore size, scars, diminish dead skin cells for tightness and resurfacing,and other signs of premature aging.The results will depend on the type of peel performed and that decision is determined during your consultation.Some light or medium peels are done in a series or combination for longer –lasting results or more impact. This intensive treatment rapidly exfoliates skin cells to clarify the complexion. First, the skin is cleansed and toned. Next, a powerful glycolic peel is applied, followed by a balancing mask. After the mask is removed, the skin is pampered and soothed with calming balm. The treatment finishes with the application of a healing lotion. This Revitalizing Facial treatment,is packed with healthful nutrients and minerals. Fragrant oranges ,with over 200 valuable treasures,are the most popular fruit in the world.They are a rich source of vitamin C, Fiber, Foliate, Potassium, vitamins A and B 1. This new blend of real orange zest produces a facial treatment that gently exfoliates the skin and leaves it clean and clear.It is designed to wake up skin and uncover a pristine complexion. Anti- radical serum,a blend of the most potent anti –oxidant are massaged into the skin ,followed by a anti –aging Vitamin C Masque.! Provides the skin with a smoother skin texture minimized wrinkles and lightened hyper pigmentation. The skin emerges wonderfully hydrated with a radiant,healthy glow. Recommended for all skin types including acetic with sensitive tendencies,as well as any skin with slightly sensitive tendencies. Especially recommended for hyper pigmented, dehydrated skin. Not for true sensitive skin.